Many thanks to all who contributed to the two United Thank Offering campaigns in 2016. Parishioners donated $445 in the Spring and $529 in the Fall for a total of $974 this year, down $432 from 2015. This brings the 12-year total since I have been involved with this ministry to $10,975. Christ Episcopal Church, although not one of the bigger parishes in the state, has been consistently in the Top 5 of all those who contribute to the UTO. 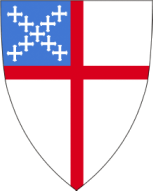 These funds are sent to the national Episcopal Churchwomen organization, which then allocates grant funds worldwide, nationally, and locally within Connecticut. In the recent past, funds have gone to aid church programs in New Haven, New London, and Clinton. After 12 years, I have decided to retire from this ministry, and I have passed the torch to Suky Bryan. Thank you all for your not-so-random acts of kindness and generosity, and I am sure you will continue to respond generously. It does make a difference!